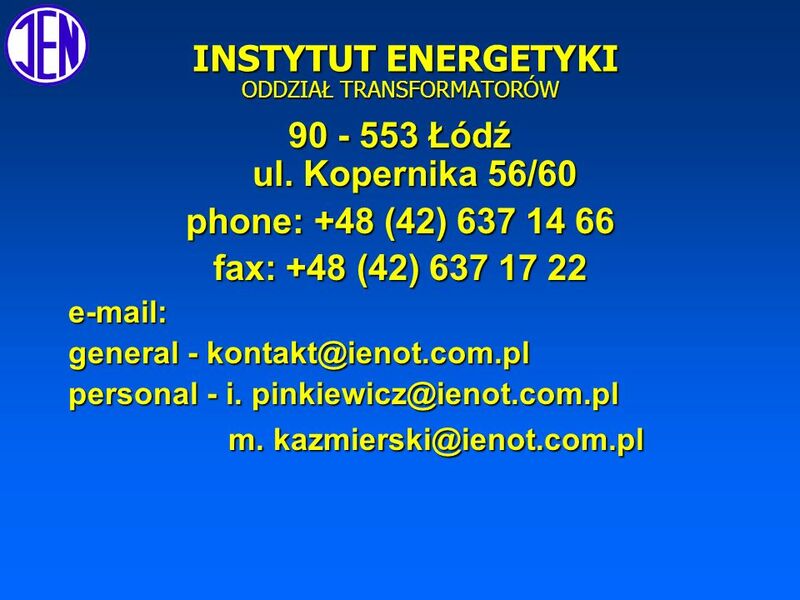 INSTYTUT ENERGETYKI ODDZIAŁ TRANSFORMATORÓW INSTITUTE of POWER ENGINEERING TRANSFORMER DIVISION. 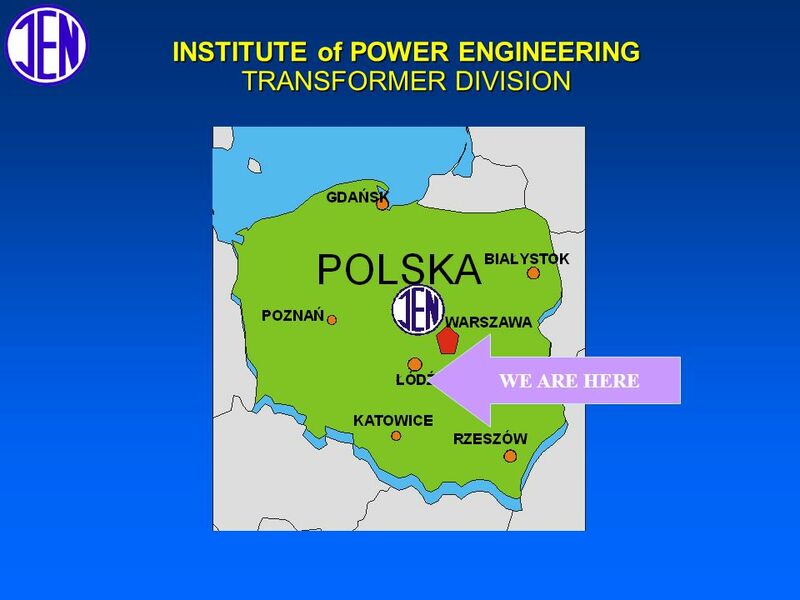 6 INSTITUTE of POWER ENGINEERING TRANSFORMER DIVISION That experience allow us to co-operate in projects where transformers are involved, such as: l l Electro-energy savings, l l Protection of environment, l l Electro - energy quality, l l Reliability of distribution systems, l l Flexibility of future of distribution systems l l Security and operation stability of distribution systems. 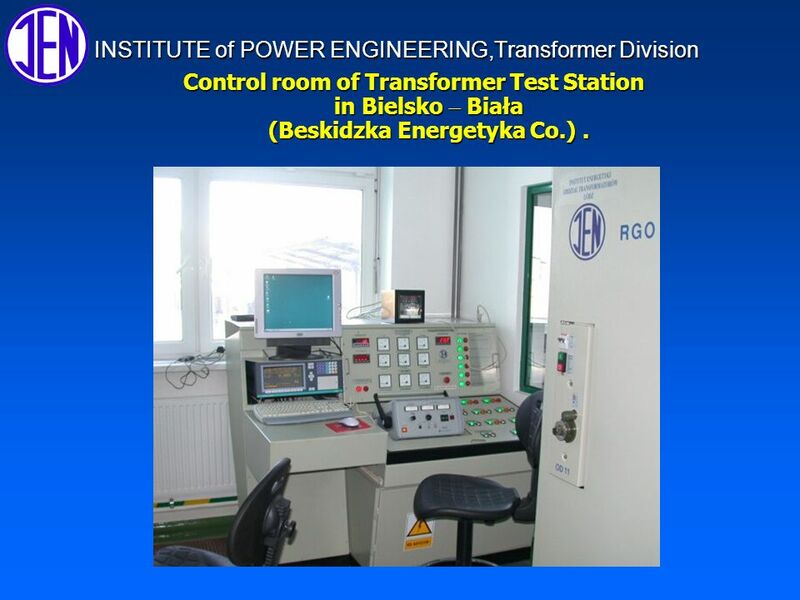 14 INSTITUTE of POWER ENGINEERING,Transformer Division Control room of Transformer Test Station in Bielsko Biała (Beskidzka Energetyka Co.). 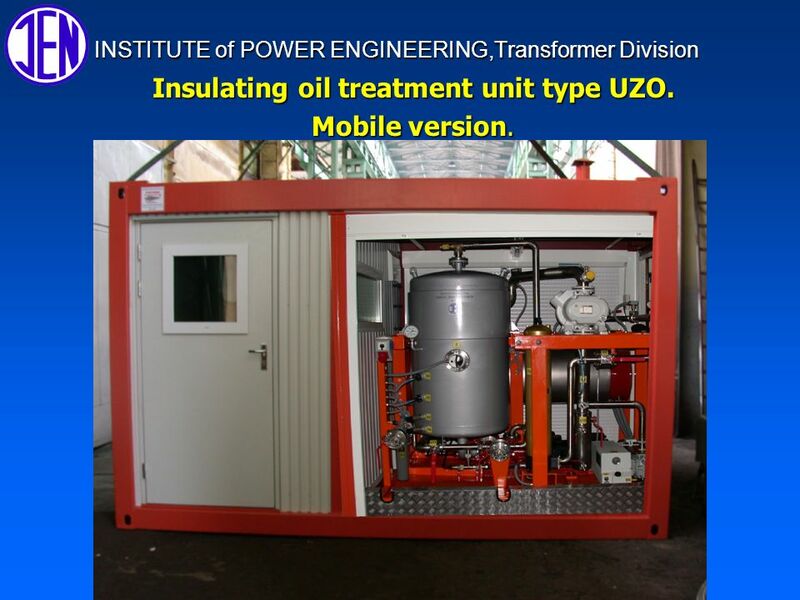 15 INSTITUTE of POWER ENGINEERING,Transformer Division Insulating oil treatment unit type UZO. 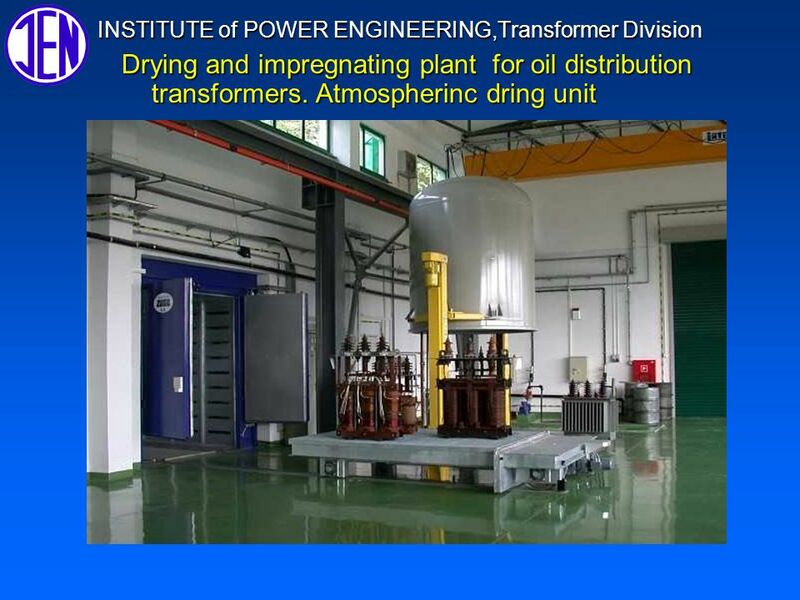 Mobile version. 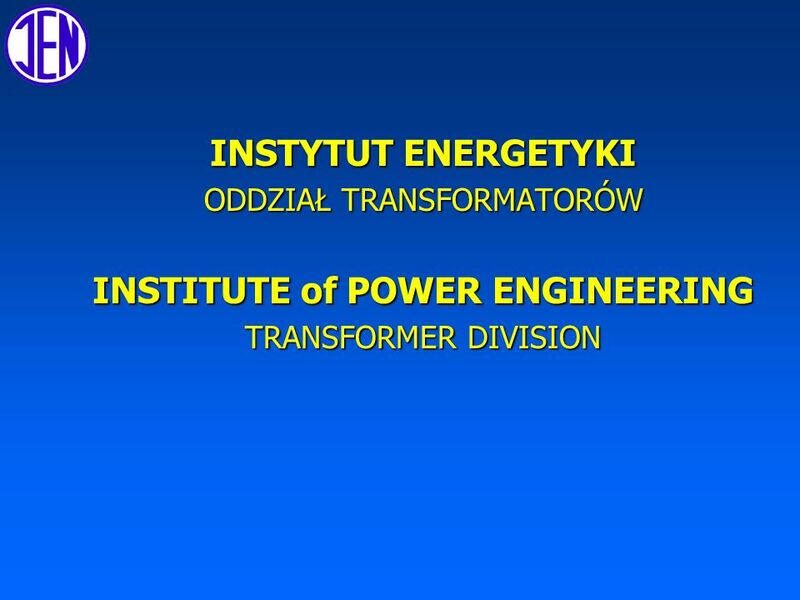 Download ppt "INSTYTUT ENERGETYKI ODDZIAŁ TRANSFORMATORÓW INSTITUTE of POWER ENGINEERING TRANSFORMER DIVISION." 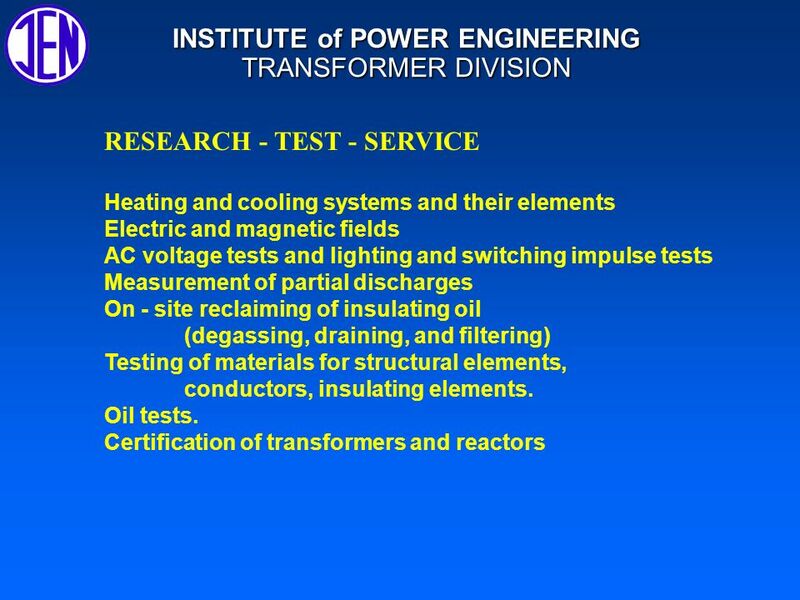 Denver Fire Alarm Test FUNDAMENTAL, POWER SUPPLIES, CIRCUITS, INSPECTIONS, TESTING and MAINTENANCE. 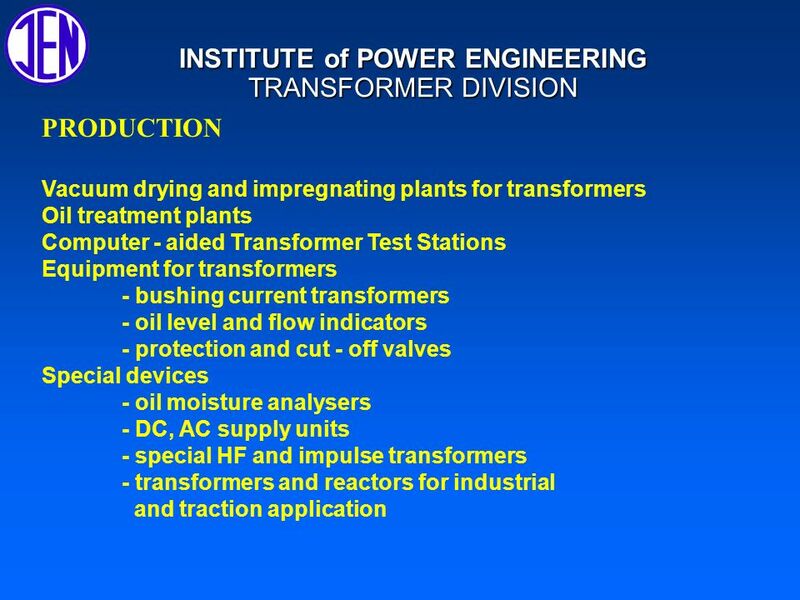 EET 110 Survey of Electronics Chapter 7 Electrical Energy Conversion. 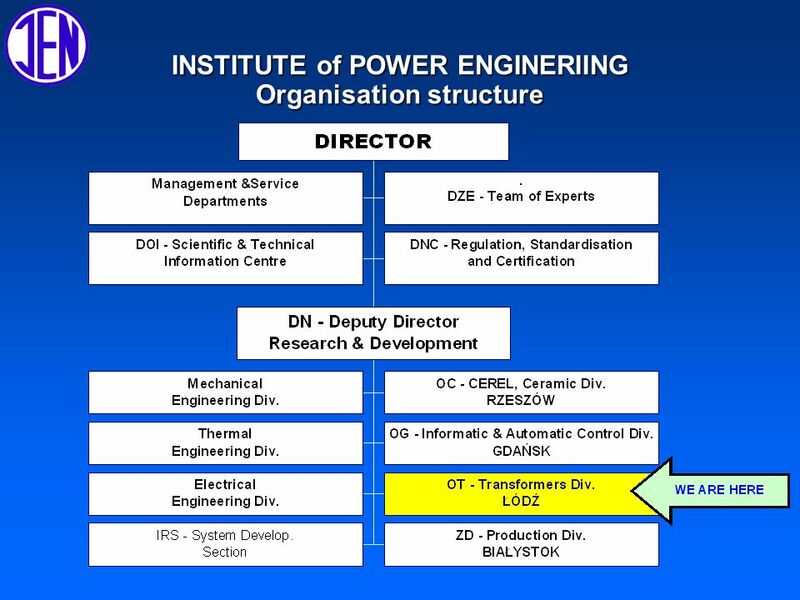 Copyright© Voltimum Experts – not to be reproduced without prior consent of Voltimum UK Voltimum Expert Topic – Power Harmonics. 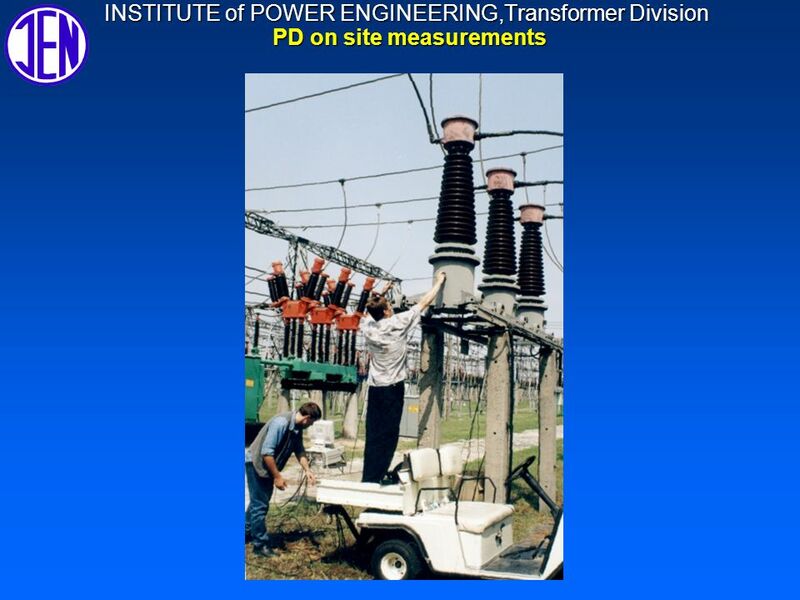 1 POWER QUALITY -- Bhanu Bhushan -- June, How close is the supply voltage waveform to sinusoidal, and how close are the supply voltage and frequency. 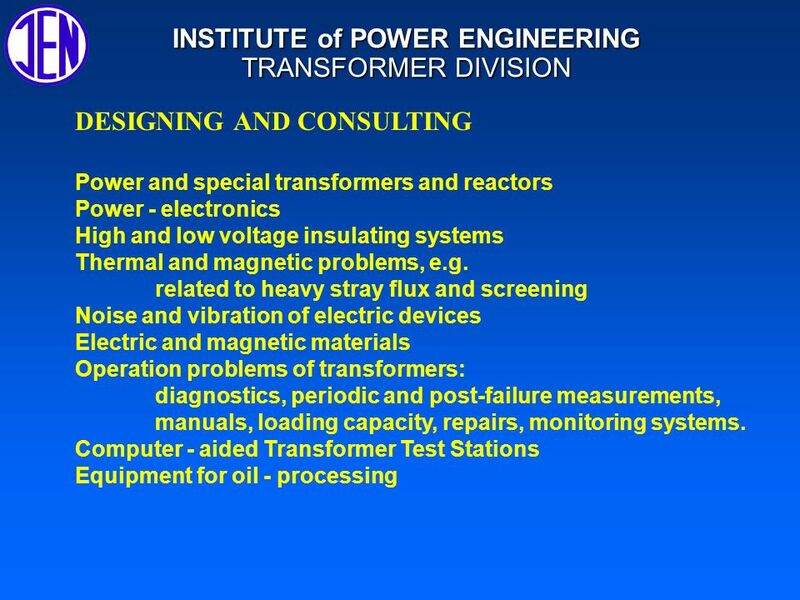 Jeopardy Vocabulary Conductor or Insulator More Vocab Hey, Smarty Pants Left Overs Q $100 Q $200 Q $300 Q $400 Q $500 Q $100 Q $200 Q $300 Q $400 Q $500. 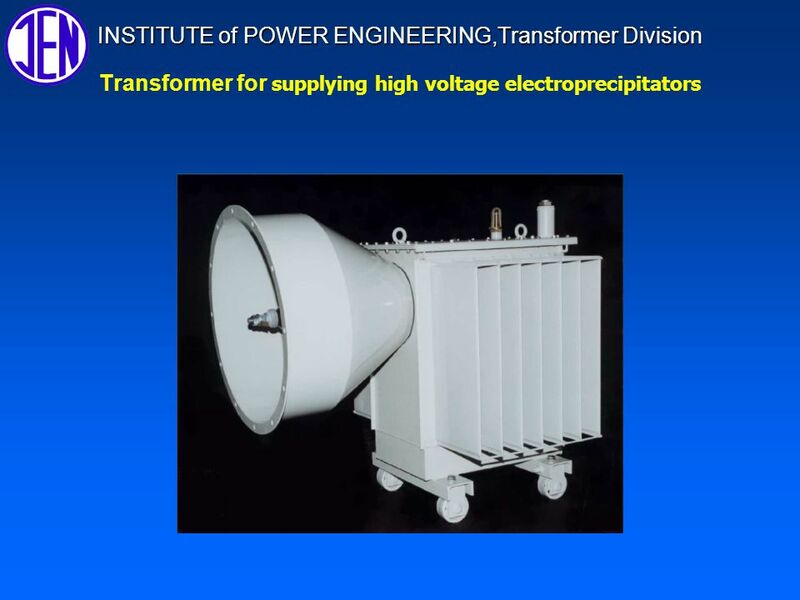 NERC Lessons Learned Summary December NERC lessons learned published in December 2014 Three NERC lessons learned (LL) were published in December. 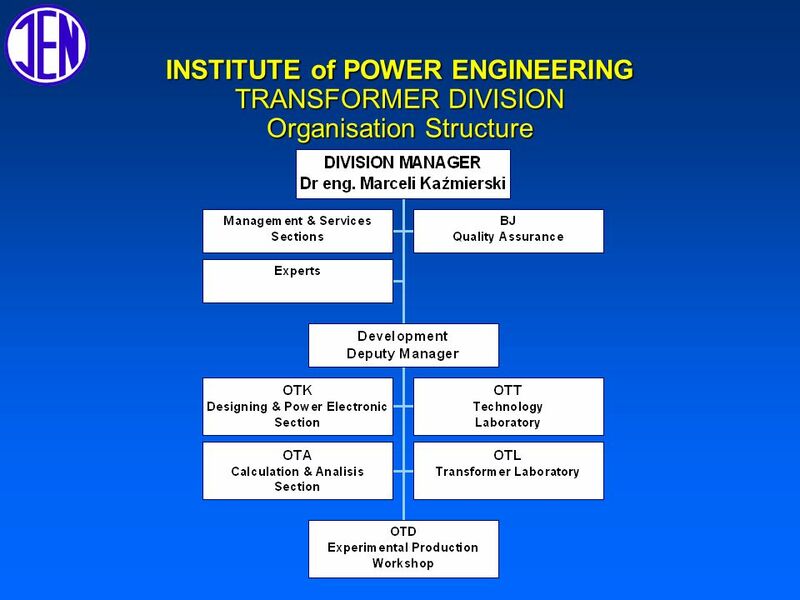 WATERLOO ELECTRICAL AND COMPUTER ENGINEERING 60s: Power Engineering 1 WATERLOO ELECTRICAL AND COMPUTER ENGINEERING 60s Power Engineering Department of. 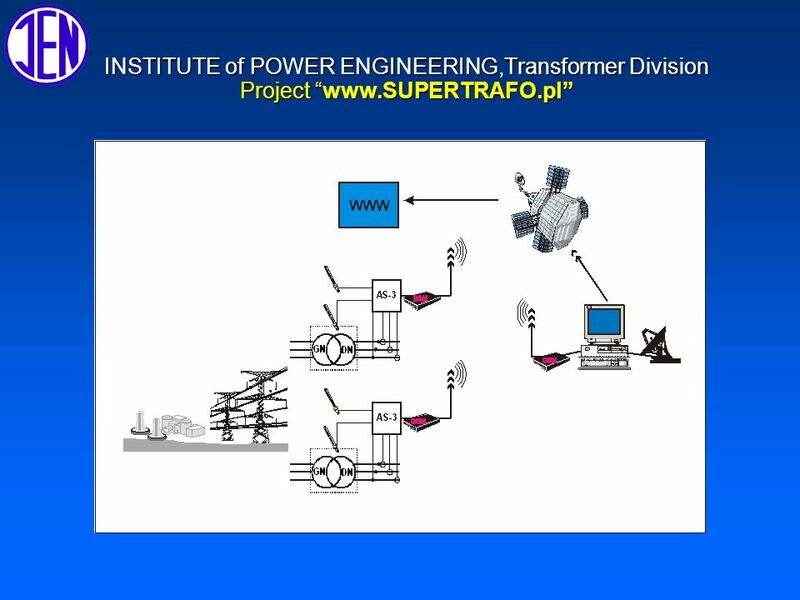 Arrowhead  Weston Transmission Line Project Dave Van House Minnesota Power. 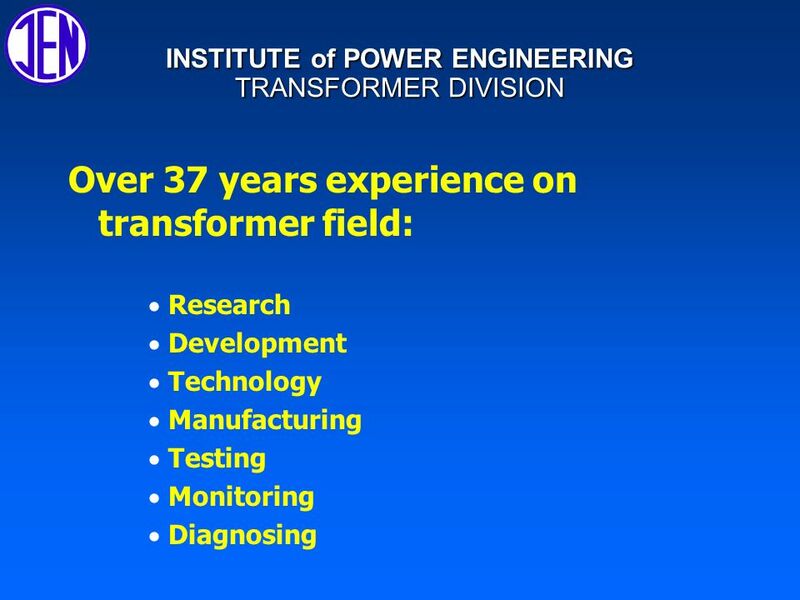 Chapter 33 Charging System Fundamentals. 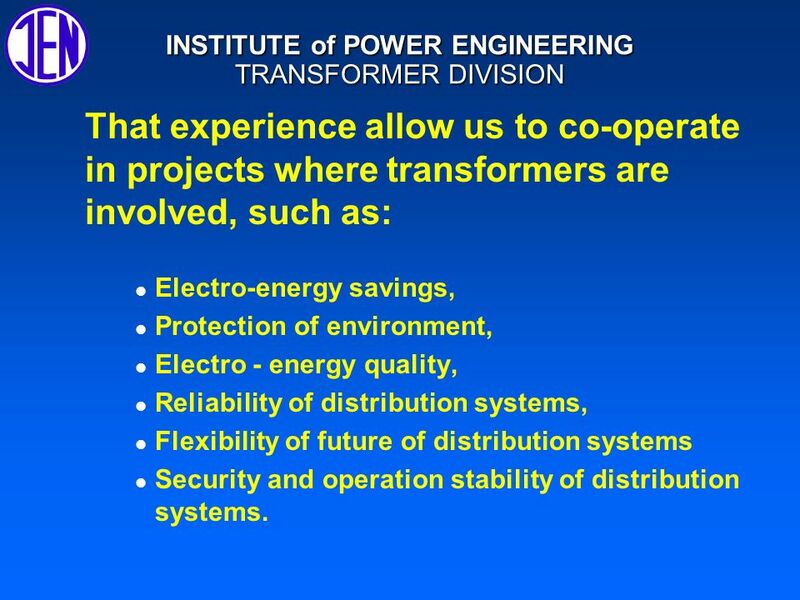 Department of Energy Energy Savers PowerPoint: Home Office and Home Electronics 9 of 12. 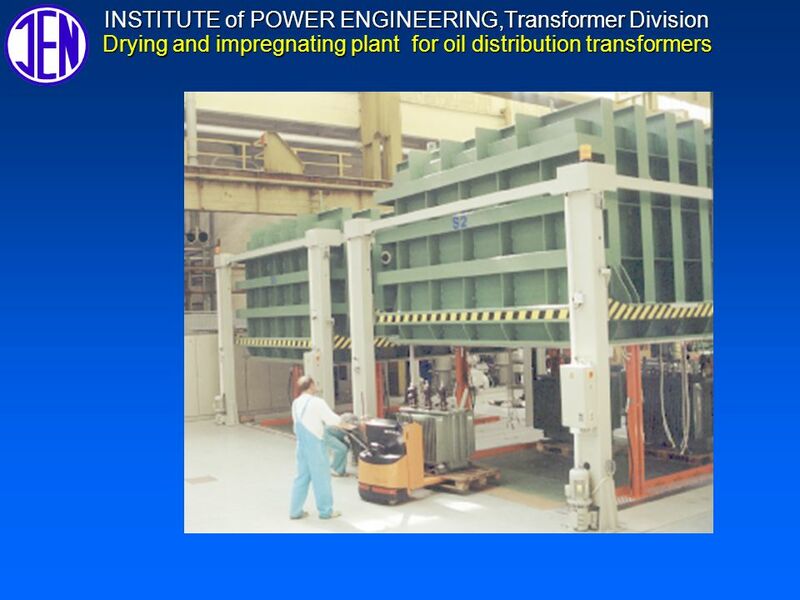 Flanders Electric – Engineering Division Welcomes Youto an Overview of Reconditioned Switchgear.